Control is a tricky trait to master and I would nearly say no one has truly mastered it. The problem with control is, just as with many things, too much of one thing can be bad. It is important to have control in your life, especially if someone has taken it before from you in the past. 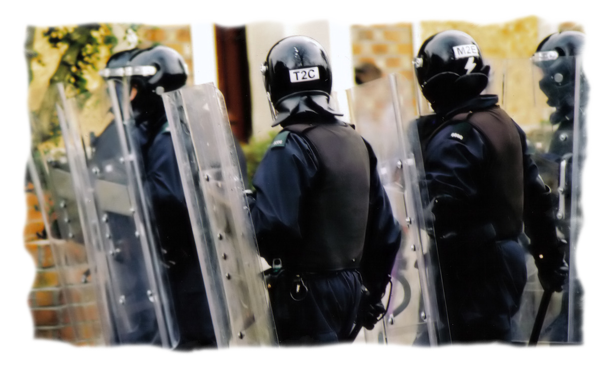 When we gain too much control, we become overbearing and controlling. So where can we strike a balance? We believe crystals can help with this. 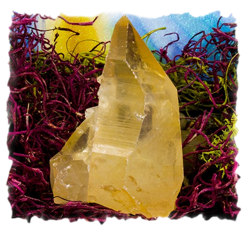 Whether you have too much control and you need to try and step back or if you need to regain control that was lost or maybe never even had, the right crystal can help realign you where you need to be. Midsummer is a time in the year when we rejoice in the energy of the sun and the growth it creates, which nourishes the body and the soul. The rays of a golden crystal fulfill us and give us the enthusiasm and excitement that make life a wonderful adventure. Gold is traditionally the color of kings, riches, and the sun. It is all this and more. Gold is as close to a magical color as exists. It seems to touch a deep part of our minds, conjuring up images of mystical places, treasure, and adventure. Gold is the color of adventure, success, and power. It is the ray of rarity, bespeaking richness and natural value. It enriches the spirit, warms us like yellow, and cheers us like orange. Gold is the high color, the crown of life. It is all life, sweet, warm; growing and reaching its peak. 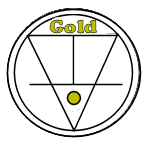 However, it is in darker shades of gold that control can be accessed and utilized. In darker shades, the golden crystals have a deeper and more pronounced sense of devotion and commitment, providing us with a mature enthusiasm and the ability to share a lifelong commitment of care and love. They provide us with the power to lead projects, organizations, and efforts to success. Most important, darker gold crystals such as Pietersite and Lemurian Seed Crystals are the ultimate power crystals. They exude authority, control, leadership, success, and influence. Pietersite is called the "tempest stone" because it has been folded and stressed within the earth and yet emerges as truly beautiful. It is a calming agent; a powerful meditation stone that often brings almost instant relief from stress and elevated levels of negative energy. 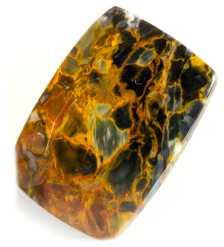 Pietersite specifically brings you power over your inner self allowing for you to control your stress and anxiety. Just as lightning clears the air and makes all things new, Pietersite discharges negative energies and emotional turmoil, and cleanses the aura, restoring it to calm. Lemurian Seed Crystals are said to have originated in a country known as Mu or Lemuria. This civilization, according to the legends, was a peaceful and highly developed spiritual civilization that existed over 12 million years ago in the area of the South Pacific. The area is now beneath the sea. The Lemurians are believed to have foreseen a cataclysmic event, and prepared the Seed Crystals to preserve their knowledge and traditions. 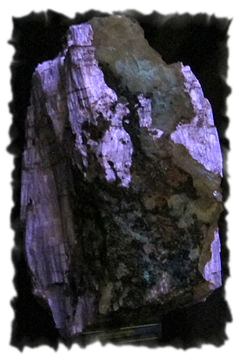 Lemurian Seed crystals are often used meditation crystals. They are reported to contain extensive amounts of knowledge and understanding of the natural universe. They are considered to be the repositories of the knowledge of the ancient Lemurians. Meditation with these crystals allows for the ancient healing knowledge to pass into your consciousness. Pietersite is a major meditation stone used extensively to calm, de stress, and soothe the user. Because of its tumultuous origins it brings the power to overcome stress and hardship. Lemurian Seed crystals have been used extensively in healing efforts associated with the heart chakra. It can be specifically used in spiritual healing when the entire organism is out of balance with itself. Judy Hall recommends Agrellite which is effective at bringing hidden matters to the surface. Useful for psychological healing and for overcoming writer’s block, Agrellite highlights your attempts to control others, supporting independence and self-respect in both parties. Control can be a very important part of our lives. We may live with the desire to be controlling or maybe you have been controlled in the past and it has dwindled down our own ability to be more controlling. Whichever the case may be for you, we feel dark gold crystals such as, Pietersite and Lemurian Seed Crystals can aid you in your quest for bringing your control to a better balance. 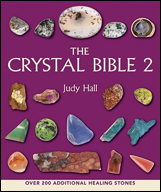 You can also try crystals other authors have recommended such as Agrellite.